The centre’s first draft on comprehensive amendments to the Indian Forest Act (IFA), 1927, has drawn flak from forest rights activists. They feel that giving more powers, including higher immunity for use of firearms, to forest officers can be misused. Some believe that though certain provisions in the 123-page draft are relevant for promoting conservation and in bringing this British period law in sync with India’s current international commitments, excessive powers to the forest bureaucracy will directly clash with decentralised governance mechanism and turn India’ s forests into a police state. The Indian Forest Act, 1927, was brought in by the British “to consolidate the law relating to forests, the transit of forest-produce and the duty leviable on timber and other forest-produce”. Given the fact that over 90 years have elapsed, and over 60 years since the British have been evicted, it is high time the Act was reviewed and amended. To that end, the government proposed extensive changes to the IFA, 1927, substantially amending it with the Indian Forest (Amendment) Act, 2019. A comprehensive draft has been prepared and circulated to state governments for their comments and suggestions. Not surprisingly, the draft has been leaked, and the tribal lobby, already smarting because of the Supreme Court order of February 2019 regarding the Forest Rights Act (FRA), is up in arms. FRA activists feel that giving more powers to forest officers, including higher immunity for use of firearms, can be misused. Let us first look at the ground reality. There is no doubt that the British had their own interests at heart when they brought in the IFA in 1927. They had brought the concept of scientific forestry to India in the previous century, and their aim was to maximise the production of timber and other forest produce to feed their demands. Being a colony of the British, India had no option but to go along. However, the positive side of the IFA, 1927, was that because the British wanted to extract as much timber and forest produce as possible, they made it their priority to protect the forests too. And though extensive parts of forests were cleared for commercial use, and then replanted with monoculture plantations of teak, as a whole they were intact. Post-Independence, there was severe decline in the forest cover of the country mainly because of large-scale diversion of forest lands for agriculture, resettlement of refugees from Bangladesh, diversion for “development” projects and regularisation of encroachments by state governments. Along with this, forest departments became top-heavy and posts meant to be handled by younger officers were upgraded, thus reducing their presence in the field. As a direct consequence, patrolling by field staff also reduced. Also, most of the senior forest officers from the Indian Forest Service joined it not because they wanted to make a career out of protecting forests, but because they failed to get into the IAS or the IPS. In 1980, the Forest (Conservation) Act was enacted to stop the uncontrolled diversion of forest lands by state governments. This Act achieved its goals for a few years, but political interference and the labelling of forest officers as anti-development created a situation where today no forest officer would have the courage of conviction to say no to any project, more so if it has been announced by the prime minister or the chief minister. It is in this context that the issue of forests’ protection needs to be looked at. As a country, we are water-stressed. We are dependent on the monsoons for survival, and once our glaciers have melted, even the snows that sustain north India will no longer exist to keep our northern rivers alive. This makes the protection of forests critical. Despite the fact that bureaucrats and politicians have finally realised that forests provide water, the emphasis today is still on destroying forests rather than protecting them. The initiative taken by the government to replace the 1927 Act is, therefore, welcome. The larger question, however, is whether the substantial changes suggested in the draft to the state governments really help protect and regenerate our forests. 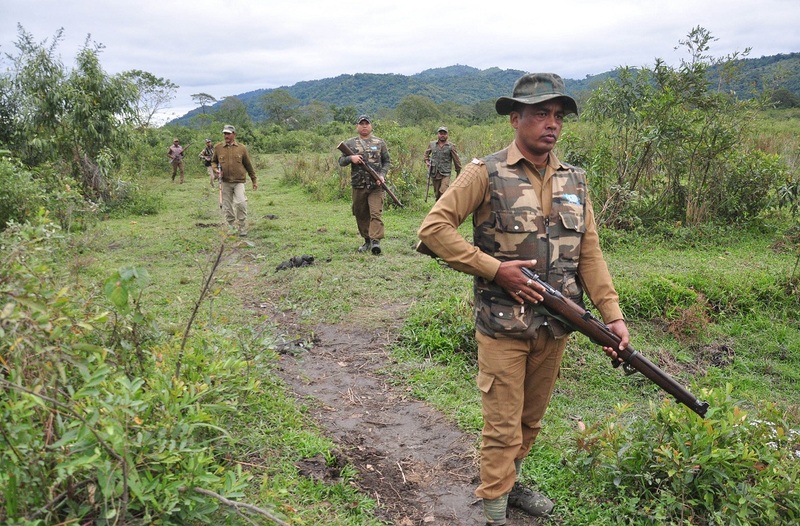 The thrust of the changes suggested is aimed at giving more powers to forest officers. Also, the need to protect them and forest staff, who work in the field under severe constraints, has been sought to be dealt with. Thus, forest officers who, in very exceptional conditions, are required to use firearms for self-defence, have been provided with an umbrella against knee-jerk arrests without a proper inquiry being conducted. In the case of forest offences, the burden of proof in many cases has been shifted to the accused since it is difficult to get independent witnesses to support forest officers who book offences. The draft recommends that state governments and Union Territory administrations shall develop the infrastructure for standardised lock-up rooms for housing the accused, transportation of accused, provide necessary articles for restraining the accused and provide armouries for the safe custody of arms and ammunition, shields, batons, helmets, body armour, wireless sets, and so on, to the forest officers for implementing the provisions of this Act. These facilities shall be developed in all territorial and wildlife ranges. The state government/UT administration shall also develop facilities for prosecution in sessions courts for trial of those accused of forest offences and create a post of Court Ranger for the purpose. All such infrastructure shall be developed within two years of enactment of the Indian Forest (Amendment) Act, 2019. Powers of search and seizure have been sought to be strengthened. Adequate safeguards have also been suggested to prevent misuse of these provisions. What has now started is the beginning of a discussion as the proposed amendments have been leaked. There is also a campaign of fear-mongering and misinformation. The fact that this is a first draft is often glossed over. At the end of the day, we need to take a decision that will decide the very survival of our country. In the era of climate change, uncertainty about monsoons and melting glaciers, can we afford to keep nibbling away at our forests under the label of “development”? Is providing forest lands unsuited for agriculture to tribals and other forest dwellers the only solution that we can offer to correct the “historical injustice”? Or are there better options available for improving the quality of life of tribals and other forest dwellers, and simultaneously protecting our natural assets that are getting more and more invaluable? Can we not classify our forest lands as infrastructure of national importance that is essential for supplying water instead of treating them as obstacles to “development”? This will require a dramatic change in our approach, but the time is right to have this discussion and take a decision that is long overdue.